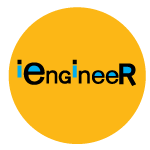 Welcome to iEngineer.net, Arash Sayadi's home page and gateway to software development and project management resources. Let's provide some perspective. My goal in life is to make the world a better place, one company at a time. I do this by assessing your software development needs and bringing to table the software developer, architect, and consulting service resources necessary to get the job done right. I act as your liaison and project manager on our engagements. To insure our interests are aligned, I provide my services to companies and organizations that, in turn, provide products and services that improve people's quality of life. My customers and employers have spanned technology, title and escrow, academic, automotive, and insurance general agencies. Contact me today to discuss your solution needs, and how we may work together.